In a recent article, Lisa Lacy at ClickZ analyzes the U.S. Census Bureau’s use of social media in its public relations campaign. Since the census is only conducted once every 10 years, this marks the first time that social media has played such a large part in the process of trying to count the estimated 300 million people who live in the U.S. 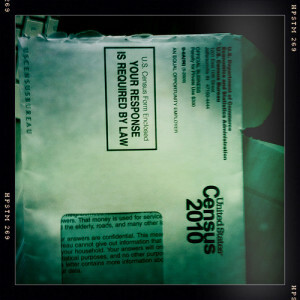 The Census Bureau has a presence on all of the major sites — Facebook, Twitter, MySpace, YouTube, Flickr — as well as its own blog. Critics of the Bureau’s efforts think the agency should have focused on one rather than spreading itself so thin. [Keva Silversmith, public affairs specialist with the Census Bureau …] has found Twitter to be a great resource for engaging in conversation and disseminating facts, but notes it is difficult to boil down answers to 140 characters. As a result, it must often provide links to Web sites where more detailed explanations can be found. On the other hand, Twitter has enabled the Census Bureau to respond in real time to concerns like wasted money on its Super Bowl ad. Another strong reason for the social media efforts is to reach 18- to 24-year-olds who are hard to count since they are “unattached mobiles,” i.e., primarily renters and/or college students. “This group lives a lot online and in social media and this is a great opportunity for us to reach these folks,” Silversmith said. Image by swanksalot, used under its Creative Commons license.